You know what they say about making assumptions right? Well the truth is that assumptions can be helpful, but they can also be very dangerous and as a business owner, one of the worst things to make assumptions about is your customer. Here are a few popular assumptions that we see e-commerce businesses making quite regularly, and a bit of tough love for anyone who is doing likewise. Ready? You see it all the time, businesses want to tell the world “their story” and how they operate, how they are wholesome, trusty worthy and what they believe. Adding credibility is one thing, but for the most part your customers don’t care that you are the biggest supplier of X product, they just want to know what you and your product can do for them. First time business owners often worry if they are not the cheapest option available, but how often do you trawl around for the cheapest products when you shop? 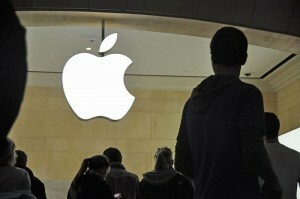 Do you think Apple customers buy their products based on price alone? As long as the price isn’t prohibitive there are other factors that matter just as much if not more. Another common mistake is forgetting that you are an expert, but your customers may not be. Giving item details is great, but most customers don’t know what DDR2 Ram is, they just want to know that they will be able to check emails and watch TV online (for instance). Some customers know what they want & how much it should cost and if they find you first you’ll make an easy sale. But most customers don’t really know what they want, they have questions and they need reassurance. Your website isn’t just a catalogue, sometimes you need to actually help your customers to make the right buying decision. This fits nicely with the last 3 points. You know the market inside out, but your customers probably don’t and they don’t have time to check every single option. If you are in the right place and give them the feelings, you don’t always have to be the best option. There will also be times when you have the best product at the best price and still fail to sell anything. The mistake you are making is assuming that buyers make decisions rationally. Rational is easy to sell, but don’t forget about the emotional needs of the customer. “Sell the sizzle, not the sausage” as the old saying goes. As a digital marketing agency we see this assumption cost a lot of small businesses a lot of money. There is an assumption online that all you need is a website to start a business. There is no “Build it and they will come”, you need a marketing plan if you want customers to actually find you out of the many other websites competing for their attention. You know of course that you need to keep your customers happy to build a successful business, but don’t fall into the trap of assuming that they will give you feedback without being prompted. If you are doing something wrong, most customers won’t complain, they will just go elsewhere. Ask your customers how they really feel (positive or negative). Word of mouth is a powerful marketing tool for small businesses and if you get the formula right you can do very well, but don’t assume that excellent service is enough to get the ball rolling. Customers are generally lazy, they won’t go and market your business without being prompted, so take the time to ask them to spread the word, the worst they can do is decline. This post was written by Adam from www.digivate.com, the digital marketing agency. Adam specialises in marketing for small local businesses in the UK.